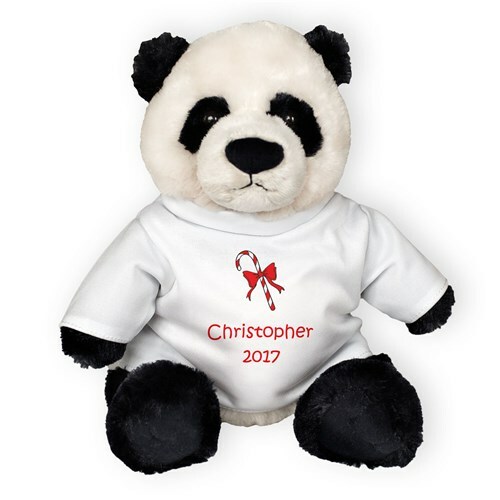 Zi-Bo Bear is an adorable Christmas Gift that is suitable for everyone on your shopping list. Zi-Bo is ready to bring your family and friends the warmest wishes this Christmas. His fur is soft, silky and completely irresistible for cuddling. He wears a t-shirt that may be completely customized with any 2 custom message. Free Gift Wrapping and a Free Gift Card are included to create a thoughtful presentation. A mix of dark navy and cream, Zi-Bo is about 12" long (from his head to the tip of his toe) and -- of course -- he's huggably soft!